Orchids (family Orchidaceaeare), the largest family of flowers in the world, commonly get associated with the tropics. In fact, adaptability represents the key to the Orchidaceaeare success. They grow almost anywhere, with many species found in temperate and colder climates. Most orchid species fall into the epiphytes category, meaning their are plants that grow on trees. Other species,including many North American species, grow on and around rocky outposts, forest floors, and like other flowers, from the earth’s soil. 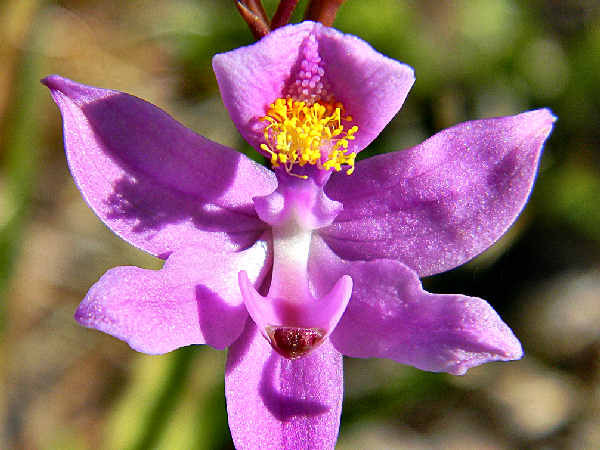 Flora of North America lists 208 orchid species divides into 70 genera. 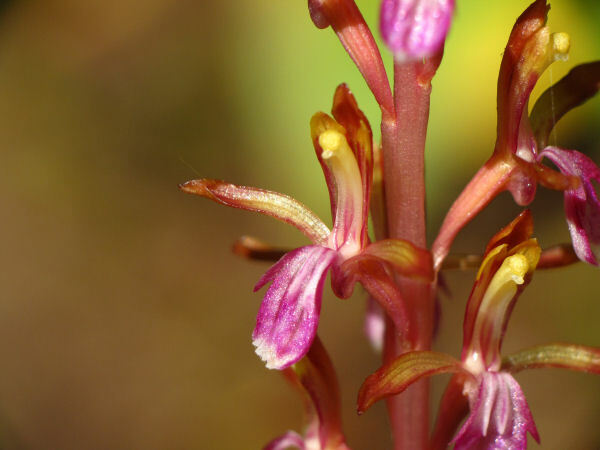 Roughly fifty percent of native North American orchid species grow in Florida. The top picture shows a Bearded Grasspink Orchid (Calopogon barbatus), one of five Grasspink species common in the Southeast. The remaining pages shows species from five different genera for the purpose of providing some basic orchid identification information. Platanthera, the genera with the largest amount of species, approximately four dozen, generally go by the common name fringed orchids and bog orchids. Fringed orchids extend their range across the entire North American continent. 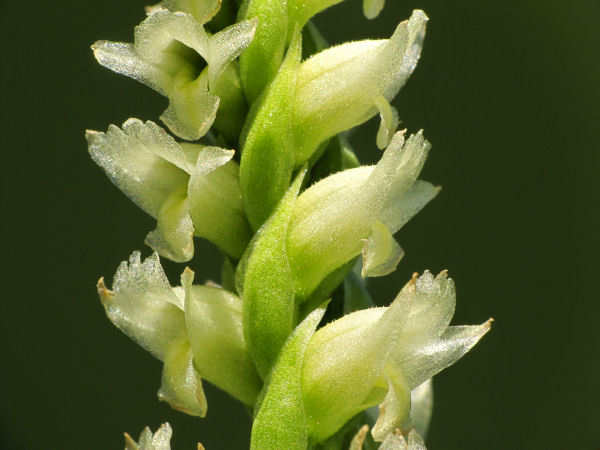 Two species, the Eastern Prairie Fringed Orchid (Platanthera leucophaea) and the Western Prairie Fringed Orchid (Platanthera praeclara) are listed on the endangered species, due primarily to the conversion of native prairies and grasslands to agriculture lands. Where they survive, they tend to stand out in a crowd, growing up to four feet in height, and covered by multiple white flowers. A popular indoor and garden orchid, the Yellow-fringed orchid (Platanthera ciliaris) thrive in both sun and partial shade areas. They prefer slightly acid soils (pH from 5 to 6). 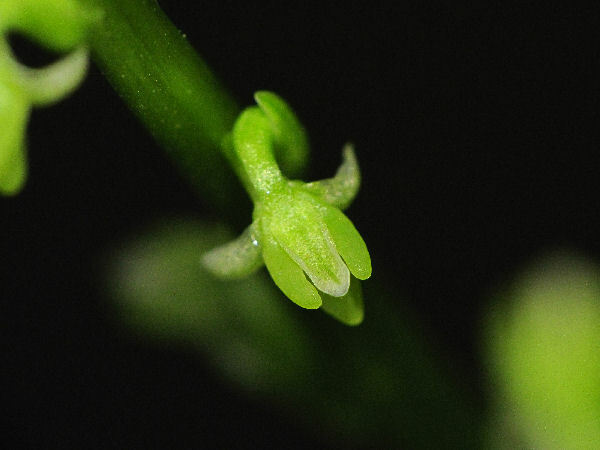 Growing up to three feet in height, flower color ranges from bright yellow to deep orange. 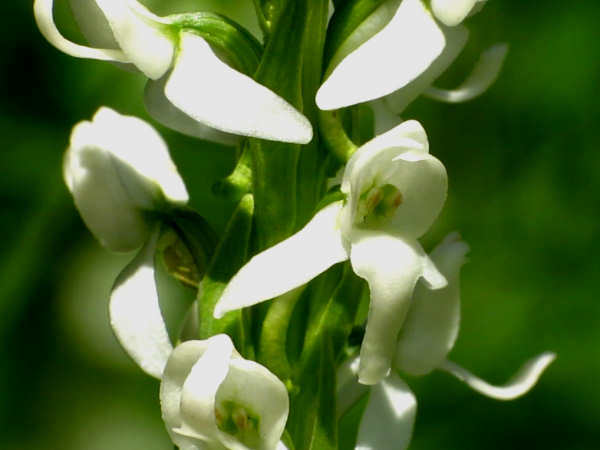 The white bog orchid (Platanthera dilatata) grows across the northern part of the United States. Along the West Coast, it grows, often abundantly in wet and sunny mountain meadows. Ten Piperia species inhabit western ecosystems. The Alaska Rein Orchid or Slender Spire Orchid,(Piperia unalascensis), the most common Piperia, also grows in small population in eastern Canada. A fairly inconspicuous plant, the short, thin stem provides the initial field identification clue, rather than the small green flowers. Rattlesnake Plantain refers to a genus (Goodyera) fairly common orchids that grow on forest floors across North America, including Canada and Alaska. Four different species have been identified. While the small white flowers on the thin stem often do not stand out in a crowded forest floor, its green striped leaves make it easily identifiable when the plant is not in bloom. Most flowers bloom during the summer season. Spiranthes, a genus with approximately thirty species, get identified by the presents of small, spiraled flowers along the top of the stem. The Ladies’ Hooded Tresses (Spiranthes romanzoffiana) breaks that mold, with the most widespread distribution of all the Spiranthes species. It can be found in meadows and bogs at both low and high altitudes in much of the Northern areas of the United States. Seven Coralroot (Corallorhiza) species grow in North American forests, making them a popular discovery during a spring or summer hike. 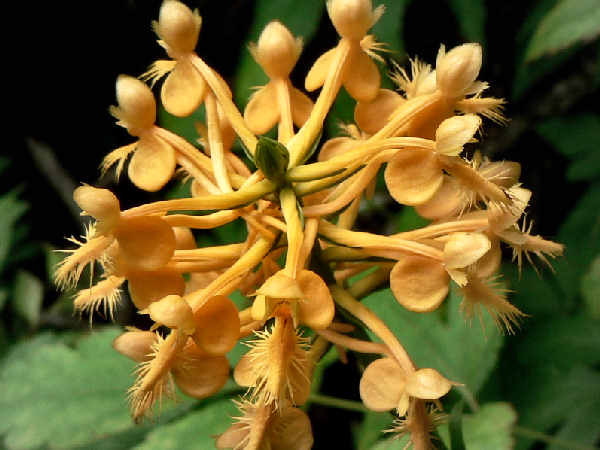 Five Corallorhiza species grow in the west, with the Pacific Coralroot (Corallorhiza mertensiana), pictured above, the only exclusively native western species. 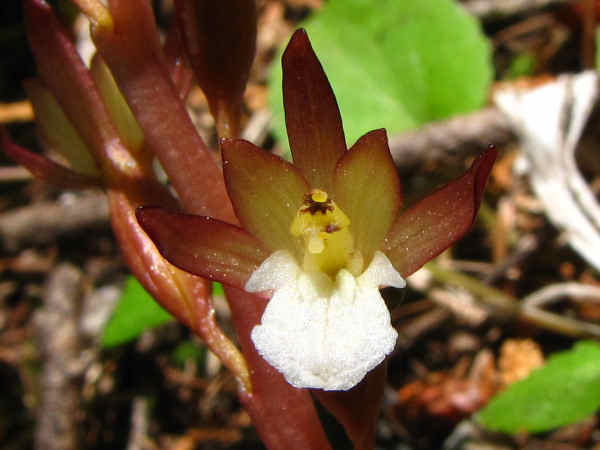 Like other coralroot species it grows between one and two feet tall, and from a distance resembles little more than a thin plant stem covered with small blooms. On close inspection the plant shows its pretty purplish blooms. 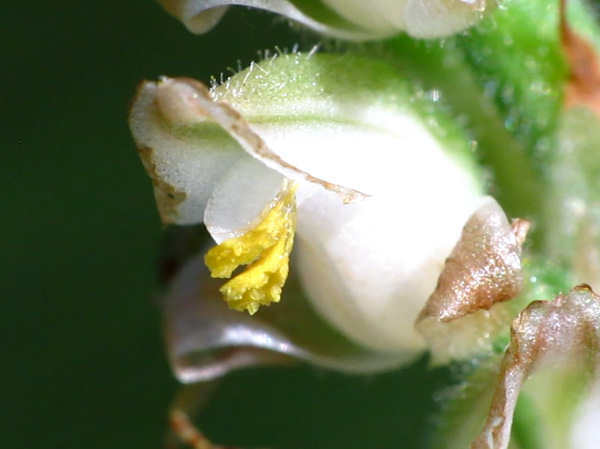 The picture shows a flower close-up, enlarged by a factor of 2 or 3. 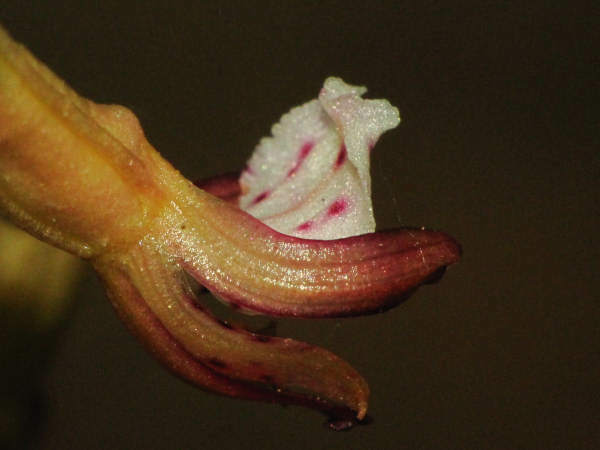 The remaining Corallorhiza species look like a variation of the second picture, the spotted coralroot, named for the spots on the petals. The Spotless Coralroot or Summer Coralroot (Corallorhiza maculata), a very common Corallorhiza species, extends its range across North American woodlands. The name maculata derives from the Latin, meaning spotted, although, as picture two shows, there are some spotless varieties. Growing orchids as house plants or garden plants adds to the orchid’s enthusiastic reception among gardeners world wide. For well over one hundred years, lengthy textbooks, along with smaller sized pamphlets offering orchid growing advice have attracted gardeners’ attentions. While the lists of easy to grow and care for orchid house plants varies slightly, a handful of species from different genera tend to make most lists: Cattleya, Phalaenopsis, Paphiopedilum and Oncidiums as easy to grow orchids. Growing species from any of these genera requires an understanding of the basic light, water, temperature and nutrition needs. 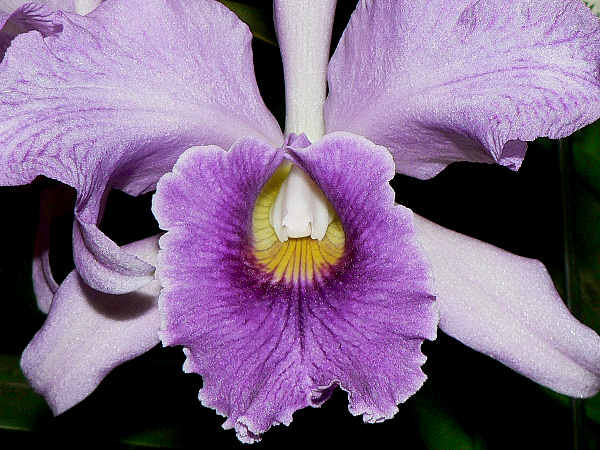 Some genera such as Cattleya, pictured, require a good deal of sun or artificial lighting when grown indoors. Phalaenopsis, on the other hand, are medium light orchids that grow well without extensive sun exposure.